There are many different ways to make a cup of coffee, but to make a great coffee requires craft and expertise. One of the ways to have incredible coffee involves pouring water over coffee grounds. 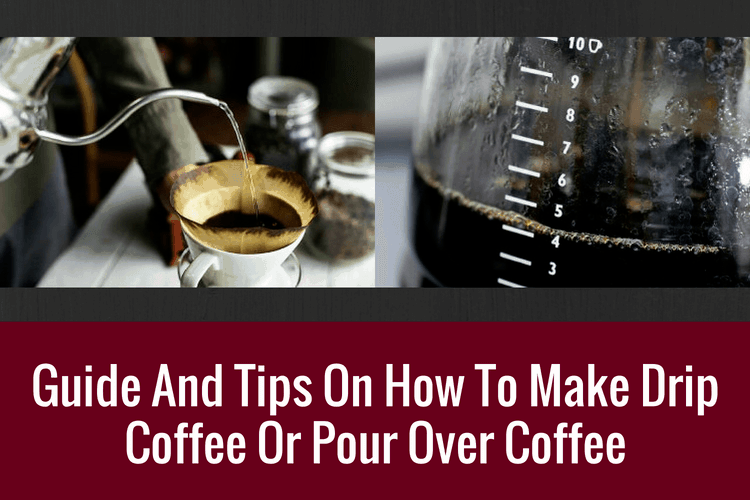 The best way to do this has long been debated, but drip coffee makers and pour over coffee are two methods where this is achieved. Which is the better method is also up for debate as drip coffee makers are designed to take the effort out of the brew, whereas pour over coffee devices take a more manual approach. Here we have a look at what both methods are, and which one will give you the best result. One thing that I noticed from people emails are they sometimes confuses drip coffee and pour over coffee. Most of the time, people are asking for pour over coffee tips rather than the former. Regardless, I will cover both here. What Are The Differences Between Drip and Pour Over Coffee? Drip coffee is the term for a type of brewing where you drip hot water over coffee grounds contained in a filter. To achieve this you place the coffee grounds in a filter and pour your water over them. Gravity then does the rest as the hot water will then infuse with the coffee grounds and then drip down into your coffee pot below. This process is largely automatically, thanks to the advancement of coffee brewers these days. 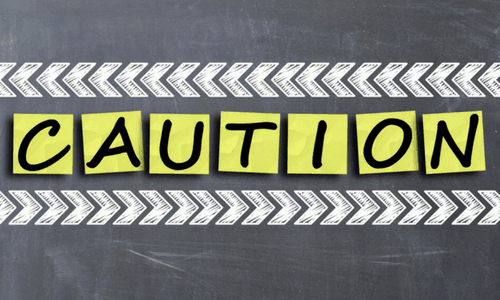 Automatic means there are less variables, which equates to less control. There are plenty of machines that help you achieve this where they take the effort out of making drip coffee. They will heat up the water for you, spread it over your coffee grounds and leave you with your cup. Pour over coffee, on the other hand is a more manual process, pioneered by Japanese. There are plenty of coffee shops which now use the pour over method to make certain types of brew. There are many different variables that can affect the quality of your drip coffee. Temperature of the water, pouring rate and pouring technique are huge factors contributing to making a great cup of joe or just flavored water. Both of the methods reach the same outcome, which is a fresh cup of coffee which has come from hot water running through the coffee grounds and collecting in a cup. How Drip Coffee And Pour Over Coffee Are Made? ​What Do I Need To Make Drip Coffee? With drip coffee there are plenty of ways that you can personalize your perfect brew, but the basic methods will always be the same. With a drip coffee maker the actual process of making the coffee is taken out of your hands and all you need to focus on is making sure that everything that goes into the machine is the right choice. The first thing to check would be the water that you are using, as it is vital in order to get a great tasting coffee. Tap water varies from place to place, but in general, tap water is not good enough to give you the best taste. The water that you use needs to be fresh and ideally, filtered, so before you start the brewing process it’s imperative that you have clean and pure water to hand. The temperature of that water is also imperative and this is where you can have a significant advantage with a drip machine, as it will regulate the temperature of the water for you. This can also be a hindrance as well, as basic drip machine will have no temperature regulation, so you get what you’re given. On more expensive models, however, you can adjust the temperature to your preference. With drip coffee, the finer the ground, the longer the steeping time and conversely, the coarser the grind, the shorter the steeping time. It’s important to find the right level otherwise you will suffer from either under or over extraction of the coffee. Again, this is partially a personal choice and if you want stronger coffee, then a finer ground would be better. Making drip coffee through a machine is easier than with the pour over coffee method as the automation takes away a lot of the hassle for you. Some people, however, want that hassle as the more manual process can result in a more personalized and better brew. What Do I Need To Make Pour Over Coffee? This is a more delicate and complex experience than using a machine, but the results can be a lot more rewarding. Once again, water. Now this time you don’t have a machine. You need to bring your own water to boil and leave it to settle slightly so that it is around 200 degrees Fahrenheit (or 93 Degree Celsius). This can be achieved either by having an electric kettle or a thermometer, if you have experience with this then you will get to a point where you’ll know how long your water has to stand after being boiled to achieve the perfect temperature. Don’t have a thermometer? Just make sure that the water is below boiling point. When you starts to see little bubbles forming in strings to the surface, stop the boil and let the water rests for a couple minutes. The water should be around 93 degrees at this time. Now without a machine, you will have to grind your grounds yourself. The coffee needs to be grinded to around the consistency of sea salt (medium coarse) in order to achieve better results. Once done you’ll place this in your filter that you would have placed in your pour over cone. Make sure that the coffee is lying flat in the filter before you begin to pour. It’s recommended that for every 6 ounces of coffee, you’ll need two tablespoons of coffee grounds. Of course that is only a guide, as people have their personal preferences but you want to make sure that your coffee isn’t too strong or too weak. Expect yourself to pour numerous times, about three or four time to achieve one cup of coffee. The first pour is to cause blooming. Start from the centre and pour just enough coffee to wet the grounds and let it rest for a minute. Q. Why Do We "Bloom" When Making Pour-Over Coffee? Hold on.. a little Q&A here. Blooming is where carbon dioxide (co2) are released from the grounds when hot water comes in contact with it. Why? The short answer is it makes your coffee taste better. The long answer is if you noticed, when you “bloom”, there are mini bubbles forming, effectively pushing the water away, resulting in insufficient contact, which leads to under-extraction. Under extracted coffee tends to tastes sour and this is not what we want. Once that settles, then repeat the process making sure that you draw the water over all of the coffee, and then repeat the process until you’re left with your perfect cup. Remember to always start from the centre and circle outwards. It’s recommended that the overall brewing time should be between two and a half and three minutes long. The manual pour over method requires more timing and effort, but it is worth it if you want to get the highest quality cup possible. Not only can it produce more satisfying results, but it is also a lot cheaper than a drip machine. It’s easy to get a cup of coffee wrong when you’re making drip coffee. The process requires a lot of sound measurement and timing in order to get it right. With the beans you want to make sure that they are fresh and aren’t pre-ground in order to make the best coffee. Buying pre-ground coffee can be convenient, but if you want the best results then you need to make your brew with fresh beans that you have ground yourself. It’s also important to grind them the right way, as you want to make sure the size of the ground is consistent, otherwise you’ll get inconsistent results. There are machines out there that can do the job for you, but naturally some are a lot better than others. The water matters too, as tap water often contains too many minerals and chemicals that can distort the taste. It’s best to use filtered water which should be able to take most of the chemicals, like chlorine, out of the water. Bottled water is also ideal for drip coffee use. There is no point going to all the effort to make a great brew, only to use hard and impure water. One of the downside to drip coffee makers is that they can be difficult to clean. Any leftover residue from your previous coffee may my spoil your attempts to make your fresh coffee. You need to make sure that you wash your machine properly and rinse them when you do. If you don’t, this can result in stale tasting coffee that has a bitter taste. One of the easiest mistakes to make is with the water temperature; most recommend the temperature to be at, or just below 200 degrees Fahrenheit. Any hotter than this then you would risk scalding the coffee and burning away some of its great flavor. Any colder than this then you would risk not being able to extract enough flavor from your coffee grounds. Temperature control is a vital part of making great coffee. Extracting the flavour of a coffee bean via the drip method can leave you with a perfect cup of coffee. With the drip method, however, you get out what you put in. If you simply want to load up a drip coffee machine then you’ll still get a nice drink. The best results though come from controlling the process yourself by selecting fresh beans, grinding them yourself, and using the right water at the right temperature. The process is easy enough, and leaves you with coffee at its best, with delightful aromas and perfect taste. All in all, the above are just guidelines. You will have to try different variables in either methods to get the best for your tastebuds. Coffee taste matters only to you, the drinker, not some dude on the internet. Some ideas are to vary the coffee bean, the grind size and the temperature of the water for a start.